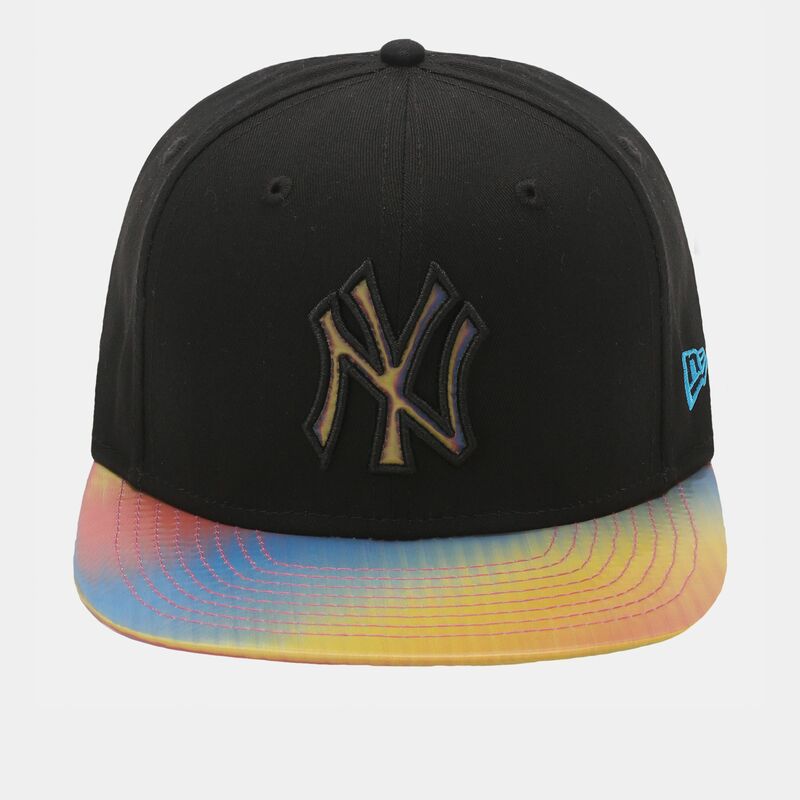 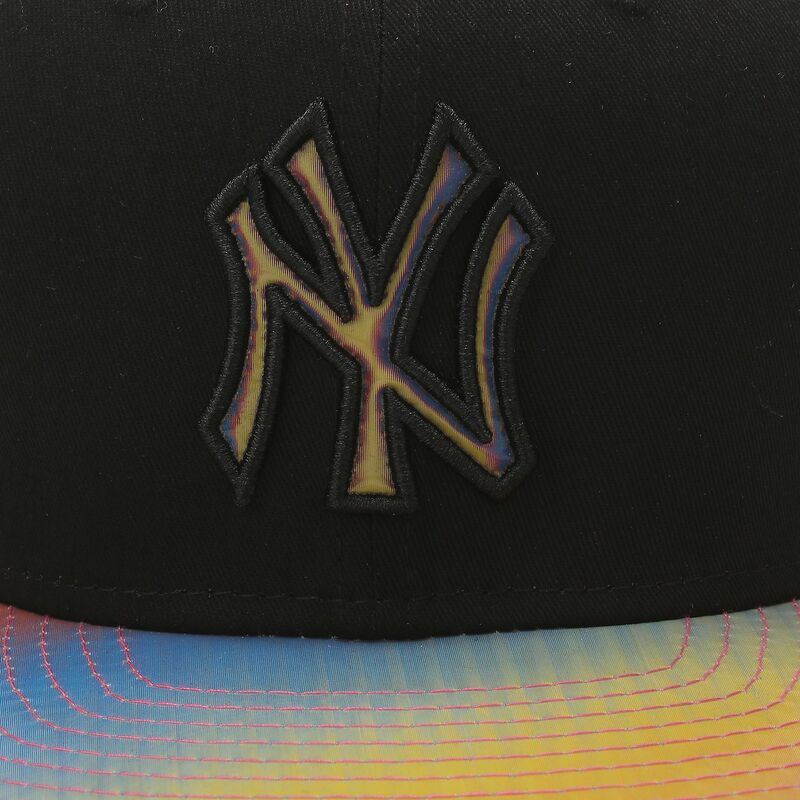 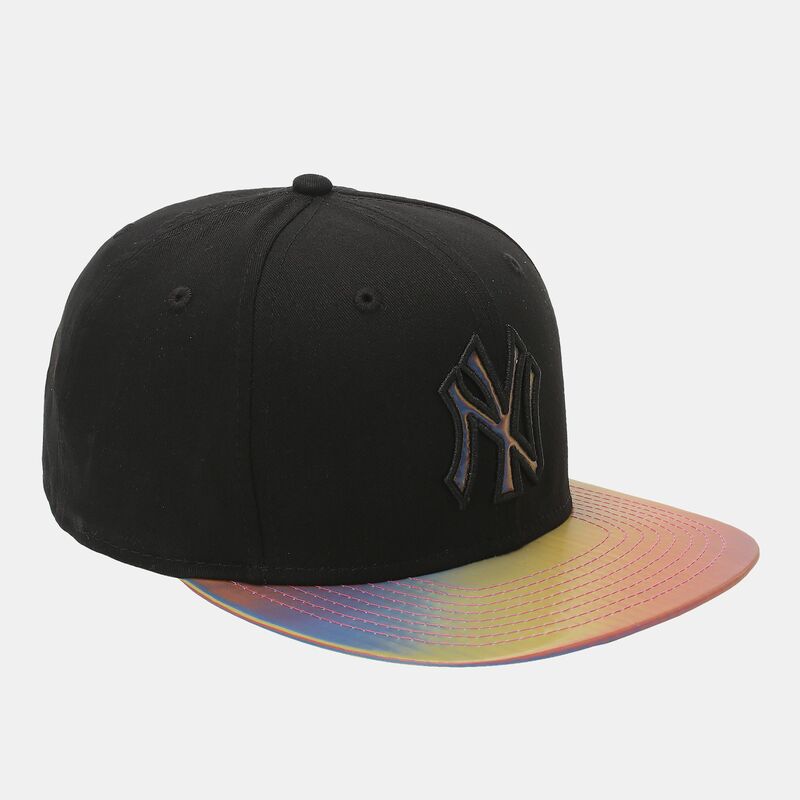 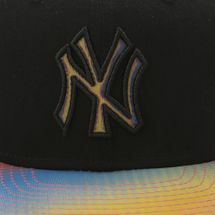 Featuring a metallic style visor, the New Era Metallic Time NY Yankees Cap for men boasts a fashionable style that is easy to wear. Made from denim fabric, it has a metallic top button and an embroidered team logo initials on the front. 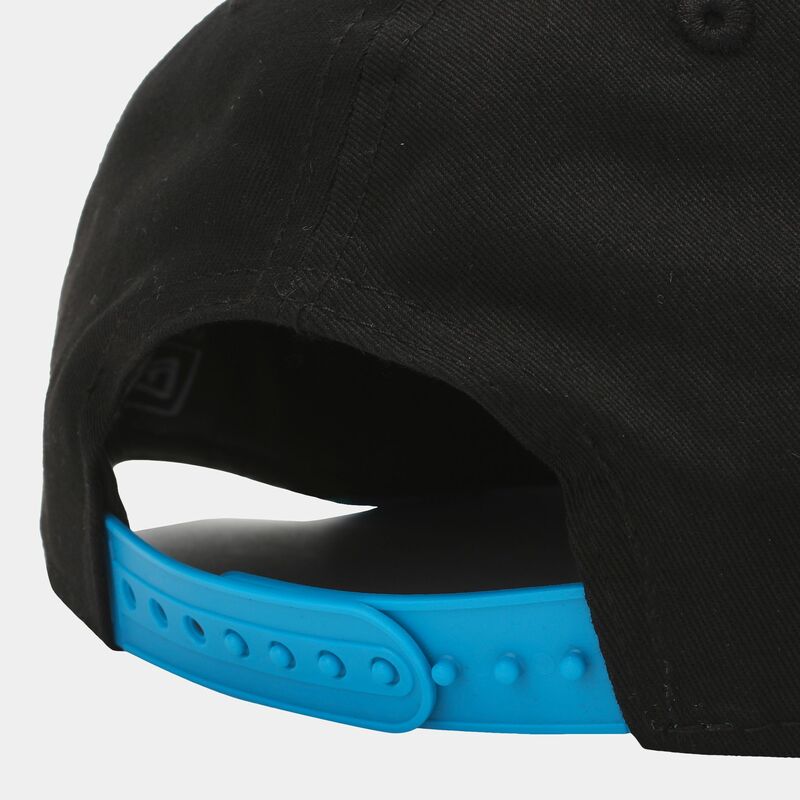 The adjustable back fastening brings a comfortable fit.